The idea for Volunteers of America’s Cabin in the Woods at the Togus VA Hospital, took eleven years from the initial idea to fruition. 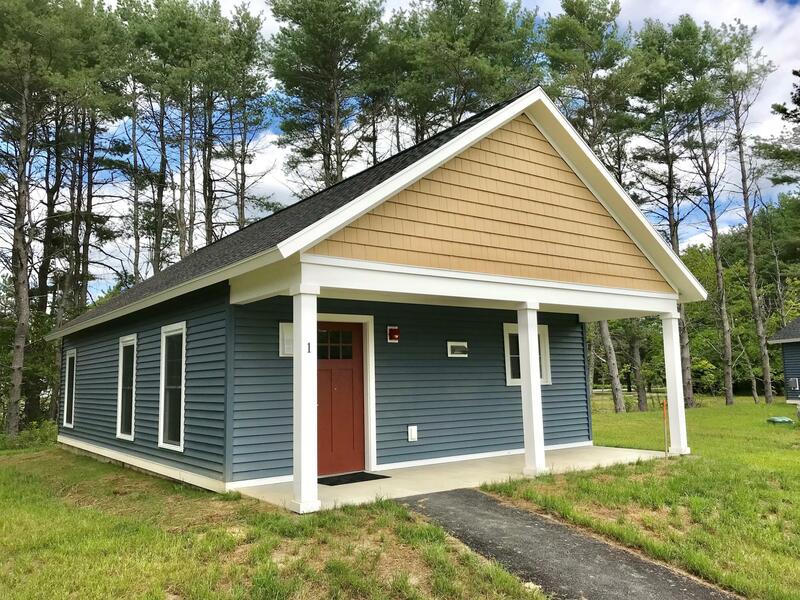 The high efficiency cabins for homeless veterans are all inclusive, with radiant heated floors, electricity, phone, cable, and internet included. The veteran’s only cost is rent and food. VOA has a great relationship with local food banks and pantries to assist veterans when needed. Twenty-one cabins were built  six with two bedrooms and four are ADA compliant. As of August 21, 2018, move in day, there were only two units still available. A dedication ceremony will be held at the Togus VA Hospital grounds in Augusta, ME, on Friday, September 21st from 10:00 to 12:00. Learn more about the project at the Volunteers of America website https://www.voanne.org/citw. Throughout the year, the Maine Organic Farmers and Gardeners Association (MOFGA) hosts hundreds of meetings, workshops, conferences, dinners and festive gatherings. MOFGA provides free scholarships to any veteran interested in attending these events. Many take place at their Common Ground Education Center in Unity, Maine; many more happen at farms, businesses and other venues throughout the state. These scholarships and workshops are available to any and all veterans with an interest in conventional or organic farming and gardening in Maine and the Northeast. See the MOFGA events website for an explanation of upcoming workshops http://www.mofga.org/MOFGA-Events. Further, set aside September 22nd at 5:00 pm at the Common Ground Fair for a veteran farmer networking meetup sponsored by the National Center for Appropriate Technology (NCAT) and MOFGA. Contact Anne Devin anne@chasestreamfarm.com for further information on workshop registration, scholarships and networking. The Maine Bureau of Veterans’ Services (MBVS) was pleased to participate in the kick-off event for the Maine Department of Labor’s Hire-A-Vet Campaign on August 30th at the Augusta Civic Center. Multiple Maine and New England businesses were on hand to recruit Maine veterans and their families and job offerings ranged from law enforcement to construction, technology to healthcare. The event was the largest job fair ever sponsored by the State of Maine. Final figures from the event include 251 employers in attendance, 19 veteran resource tables, 525 job seekers of which 200 were veterans, 180 employers signed up for the campaign as of September 14, 2018, and ten veterans were reported hired as of September 14, 2018. The campaign will continue through December 14, 2018.  Schedule an appointment with a VA provider.  Your VA care team will work with you to see if you are eligible for community care.  Eligibility is based on your medical needs, care that is available at VA, and other requirements.  Important: Make sure VA confirms you are eligible and authorized before going to the next step.  VA will work with you to find a community provider and make an appointment.  You can select a community provider or VA can select one for you.  Important: The community provider selected must be in VA’s network and willing to accept payment from the VA. If you have a question about the Veterans Choice Program, contact (866) 606‐8198. 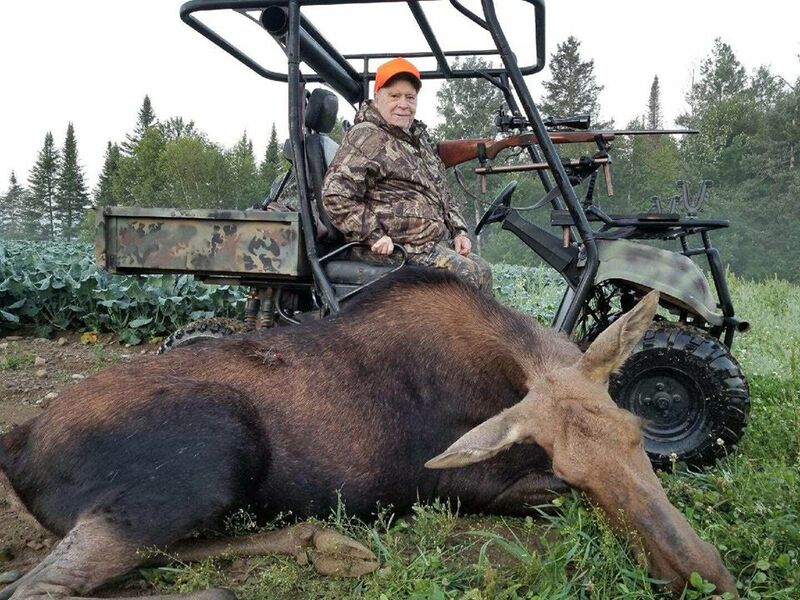 Session one of the Maine Disabled Veterans’ Controlled Moose Hunt was a tremendous success! The harvest consisted of three bulls and one cow taken, with two clean misses. The first group of hunters included  Thomas Demers, Robert Dolak, Tom Funderbunke, and Glenn Roberts. 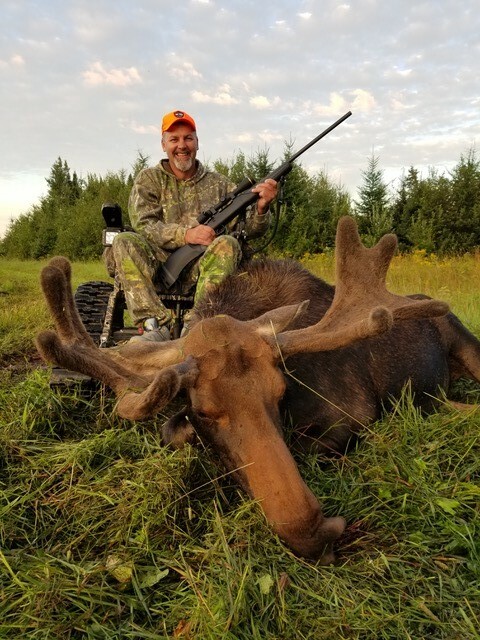 Session two of five scheduled moose hunts begins Tuesday, August 28th. Session three had some of the worst weather of the season with warm temperatures and high humidity. Three hunters tagged out with 1 bull, two cows, and one bull calf respectfully. Session four will host bear hunters and the hunt will resume on September 12th. Since the program’s inception in 2010, Maine Bureau of Veterans’ Services (MBVS) has partnered with the Maine Department of Inland Fisheries & Wildlife and Smoldering Lake Outfitters to issue hunting permits and essential equipment to participating veterans. The hunt, which is entirely free for selected veterans, costs $50,000 to administer. Costs associated with the hunt include: guiding services, essential adaptive equipment, meat processing, travel and lodging. Anyone interested in donating toward the 2018 hunt can reach out to the Mid Coast Veterans Council at (207) 406-4103 or http://www.mid-coastveteranscouncil.org/. When: Thursday, September 20, 2018, from 11:00 a.m. - 3 :00 p.m. When: Friday, September 21, 2018, from 10:00 a.m. - 12:00 p.m. When: Saturday, September 22, 2018, Social hour 12:00 - 1:00 p.m., Lunch served at 1:00 p.m. When: Wednesday, September 26, 2018 from 8:00 a.m. - 10:30 a.m. When: Saturday, October 13, 2018, 9:00 a.m. - 4:00 p.m.